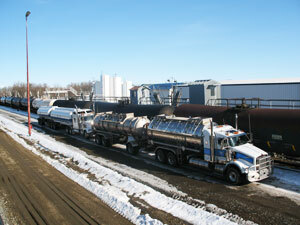 Transloading Services - Liquids in Motion Ltd. 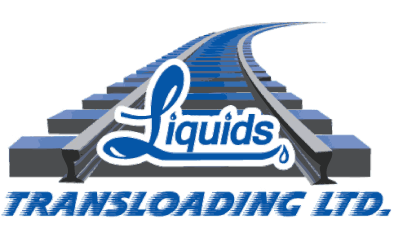 Established in 1995, Liquids Transloading Ltd. (LTL) provides innovative logistical solutions and excellence primarily in liquid bulk handling, including rail transloading, packaging, storage and transportation. Taking a proactive interest in our customers’ success, regular checks are completed to ensure a sufficient supply of product is available. Transloading goods from one transport mode to another can help shippers increase flexibility, reduce cycle times, effectively plan distribution to meet market demands and reduce shipping costs. The success of the company is based on strong core family values and its commitment to completing a job well, safely, on-time and in a cost-effective manner. With a facility located near Calmar, Alberta (south-west of Edmonton) and one in Calgary, Alberta, LTL is able to easily accommodate a wide variety of regulated and non-regulated products. The Calmar site, servicing the Central to Northern Alberta Regions, can currently accommodate 70 rail cars, with an additional 80 car spots under construction. A heated warehouse, which stores temperature sensitive products both in bulk tank storage and packaged goods, is located at the facility near Calmar. On-site packaging capabilities are also available, along with approximately 3000m3 of bulk storage. A new storage warehouse to accommodate flammable products will be completed the Spring 2019 Two mobile heating units are on hand for both on-site and off-site washing as well as the heating of rail cars. A 15,000 sq. ft. shop and wash bay facility, along with two scales certified by Canadian Weights and Measures, are also featured at the Calmar site. 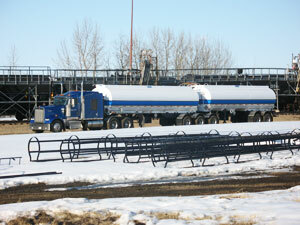 The Calgary rail spur, servicing Southern Alberta, can currently accommodate 30 rail cars. 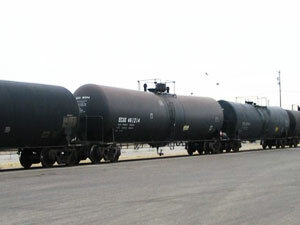 Calgary also has a certified scale and a boiler system to heat rail cars. LTL is committed to conducting safe and environmentally sound operations. Our company strives to meet and surpass regulatory requirements and industry standards, with a direct commitment to employee safety, public well-being and quality protection of the environment. Education, awareness and prevention are the key components. LTL is also committed to having an alcohol and drug-free workplace. Our company has a Certificate of Recognition (COR), a program that works closely with the Workers’ Compensation Board Partnerships in Injury Reduction Program and we have continually exceeded the industry standard. We are also a member of the following compliance organizations: Avetta, ISNetworld and Complyworks. Freedom from injury is taken very seriously in our daily operations and is continually encouraged in an effort to meet the safety objectives. LTL has a detailed Emergency Response Plan to ensure the safety of our workers, contractors, visitors and the public. LTL believes a sudden occurrence can be controlled through efficient planning and administrative decisions made in advance to mitigate the effects and extent of an emergency situation. Through various owners, our local community has seen rail cars passing through to our transloading facility near Calmar, Alberta for over 60 years. Prior to LTL, the facility was opened in approximately 1954 for the purpose of receiving and shipping products via rail. LTL is proud to continue the rail tradition, working within the community supporting the local economy, providing job opportunities and sponsoring community initiatives.